Ok, it happens every year. You have good intentions of finding that something special for your sweetie, but Valentine’s Day just seems to sneak up on you. Right? So about crafting some delicious cupcake creations? I mean, “to die for,” delicious! 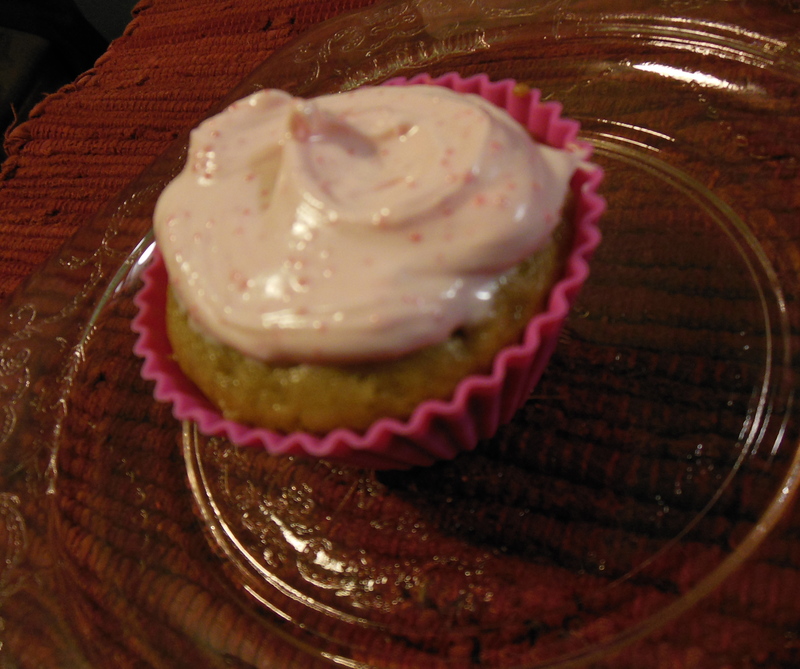 Yes, you can do it because here is a really simple, tasty cupcake recipe. They’re extremely moist and will melt in your mouth. Choose your flavor – vanilla or chocolate; and If you want you can even add chocolate chips or chopped nuts to the batter. 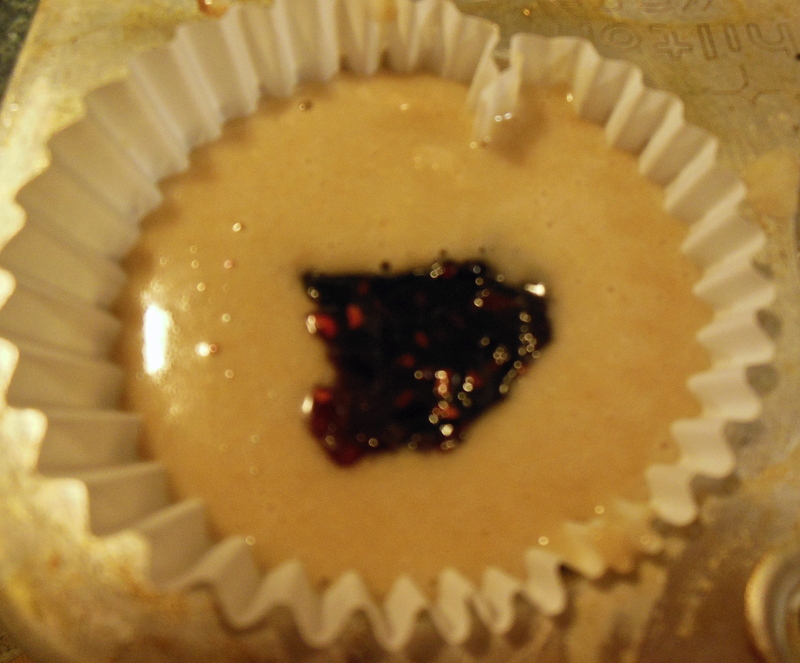 For fun, I added ½ teaspoon raspberry preserves into the center of each cupcake (vanilla batter) just before popping them into the oven for a hidden sweet treat. Have fun decorating your cupcake creations with vanilla or chocolate frosting, plain or with sprinkles or with fresh raspberries, or mini chocolate chips. Your sure to bring a smile to your loved ones with these delicious creations! Preheat oven to 350 degrees and prepare 14 cupcake holders. 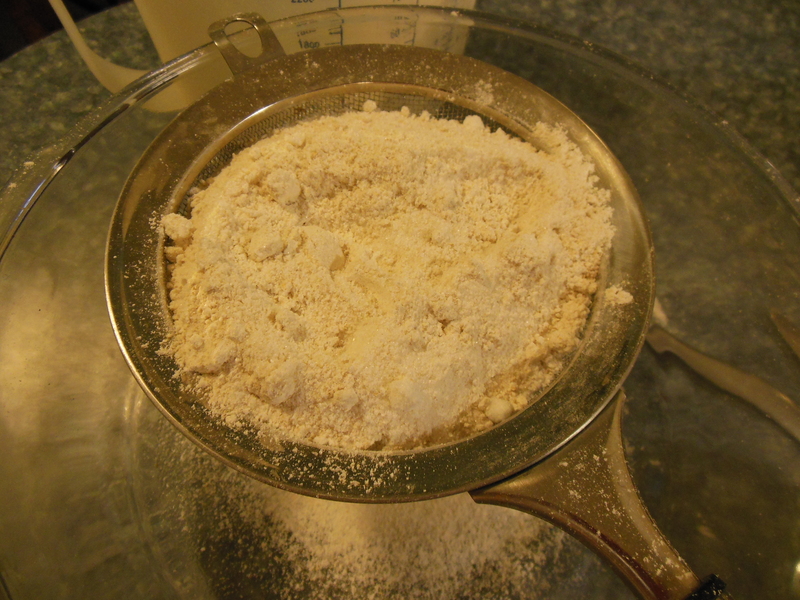 In a large bowl, sift together the flour, sugar,baking soda and salt. In a smaller bowl, combine the oil, vanilla, vinegar and water. 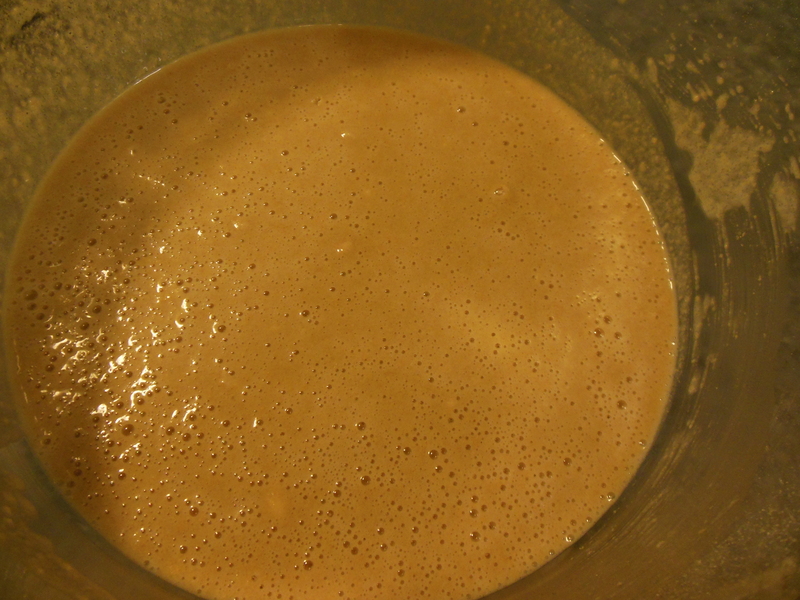 Add the wet ingredients to the dry and mix together until smooth. 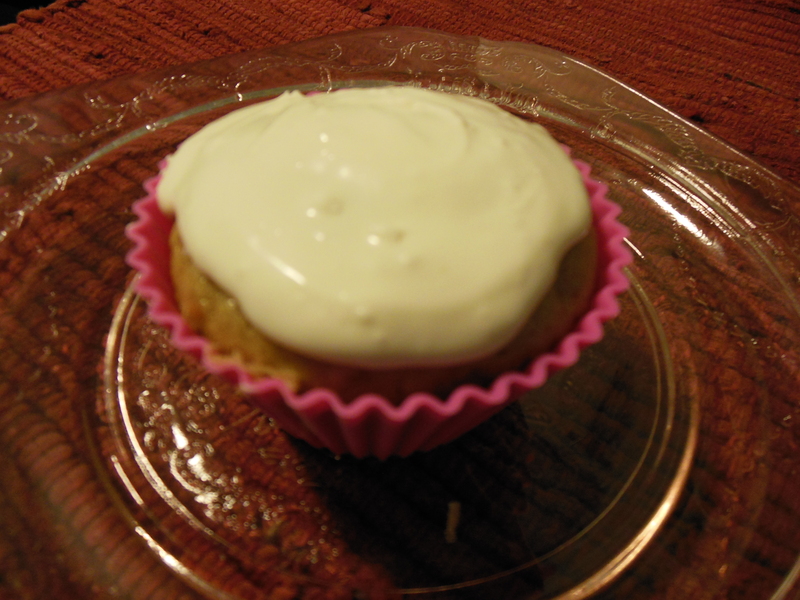 Pour ¼ cup of batter into each cupcake liner and bake for 25 – 30 minutes. Remove from oven and allow to cool. 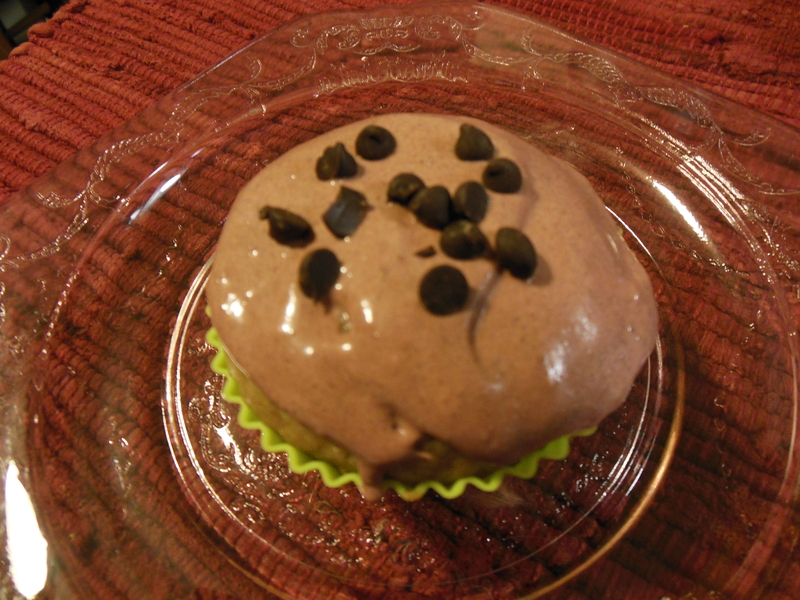 NOTE: For chocolate cupcakes, add 1/4 cup cocoa powder to the dry ingredients and reduce amount of vanilla to 1 teaspoon. In a medium bowl, mix the powdered sugar, butter, and vanilla together with a few tablespoons of almond or soy milk until the consistency is good.